So happy to have Mongabong pick and style three our apparels. "A baby powder blue top is bound to soften any look up. it is also double-lined to make sure they bring the best quality to you. Pair it up with a skater skirt and sneakers for a casual, sk8ter gal look. Or to step up the glam level, throw on a statement necklace and some bling." and most culottes I see in the market are either black, or solid coloured. Who would say no to a little stripes and grey colour?" 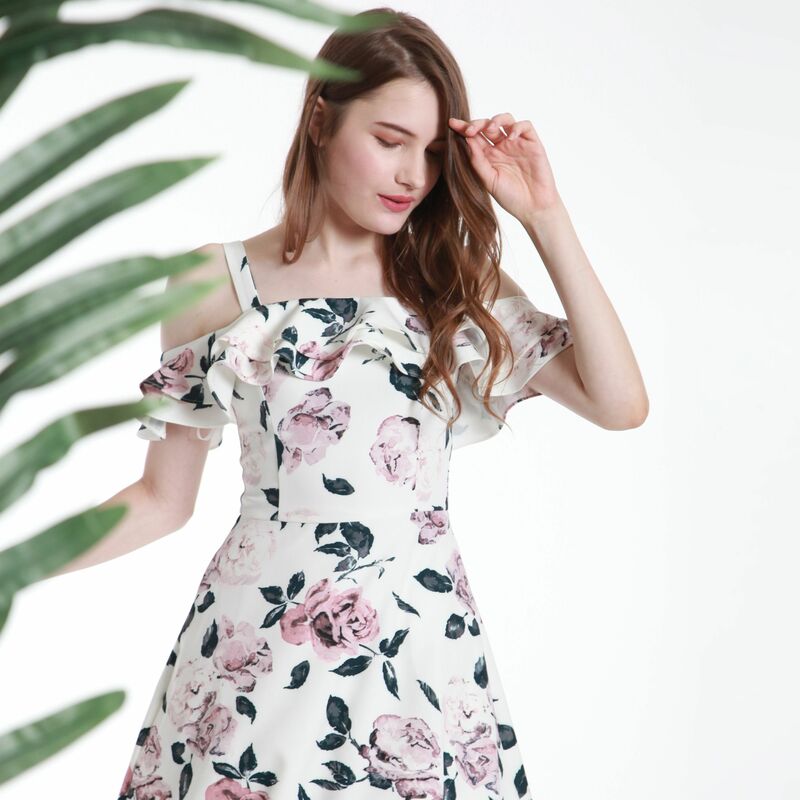 this sweet little dress is the one I would recommend." Click here for her full blogpost.